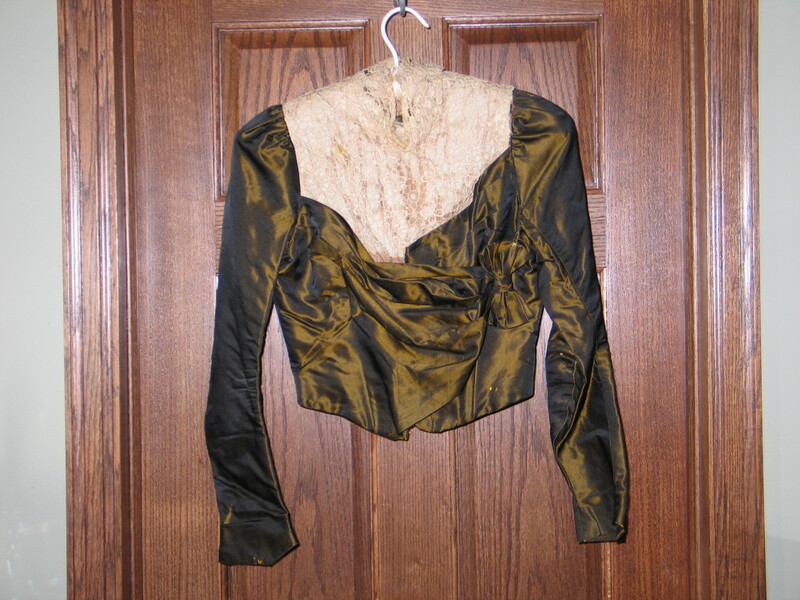 This is a fabulous victorian blouse. 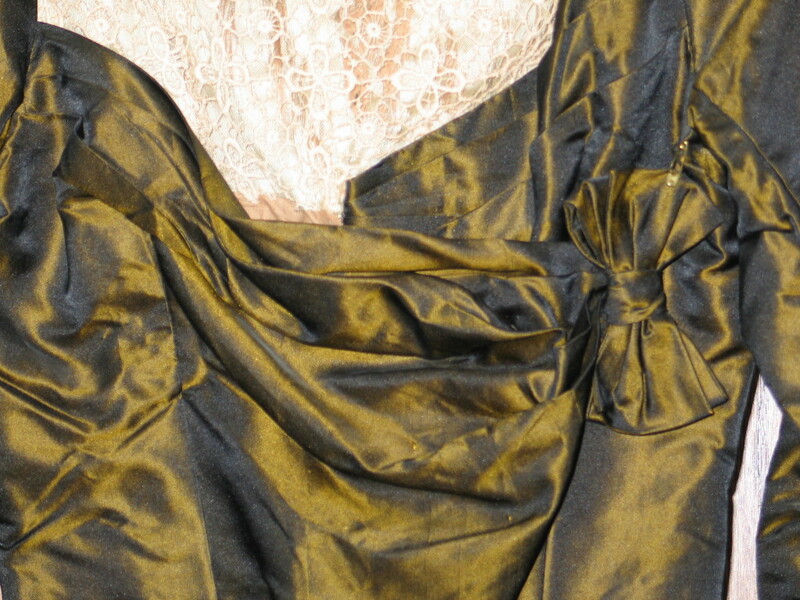 It is a gorgeous Olive green ~gold silk (?) 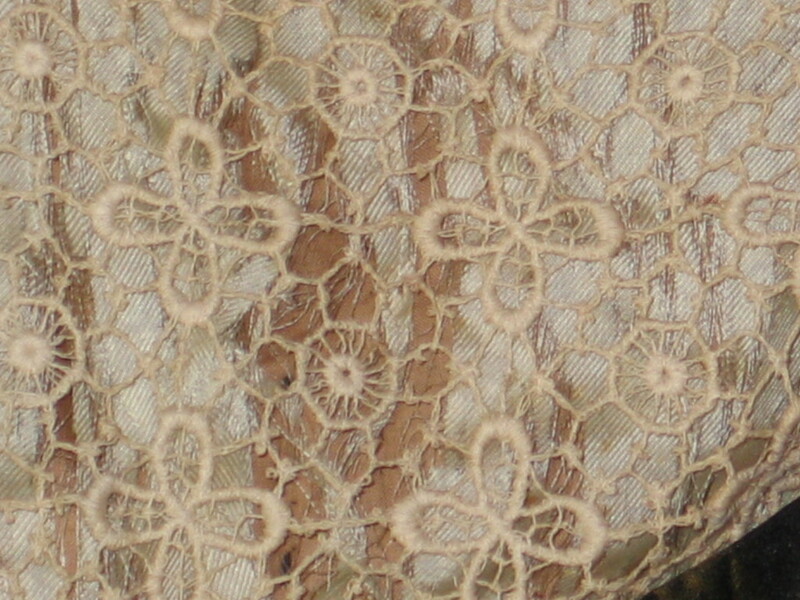 with stunning delicate NANDUTI~SUN~WHEEL lace bodice (if anyone knows what kind of lace this I would love the input. It has hook and eyes closures up the front of this great piece. 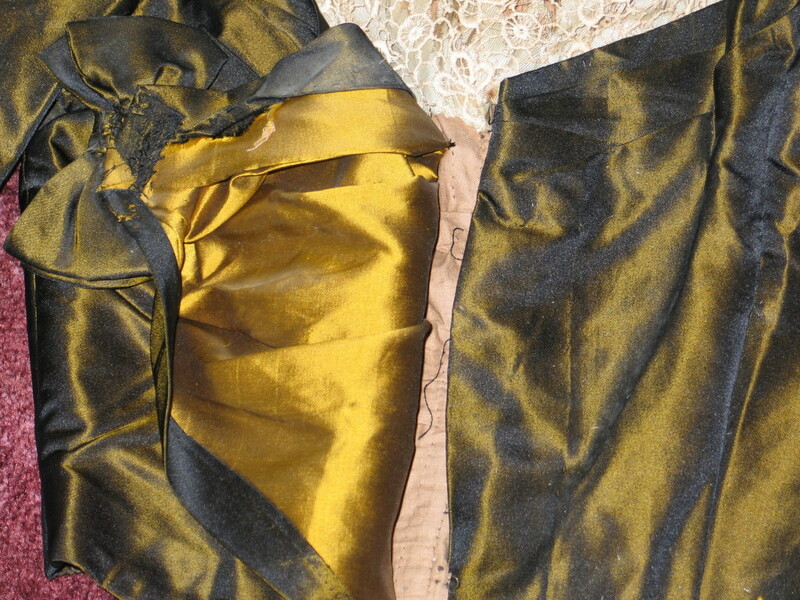 It is in nice condition, there is a couple areas of wear on the outer part of the garment, the lace is in real nice shape, the satin or silk lining UNDER the lace is deteriorating. 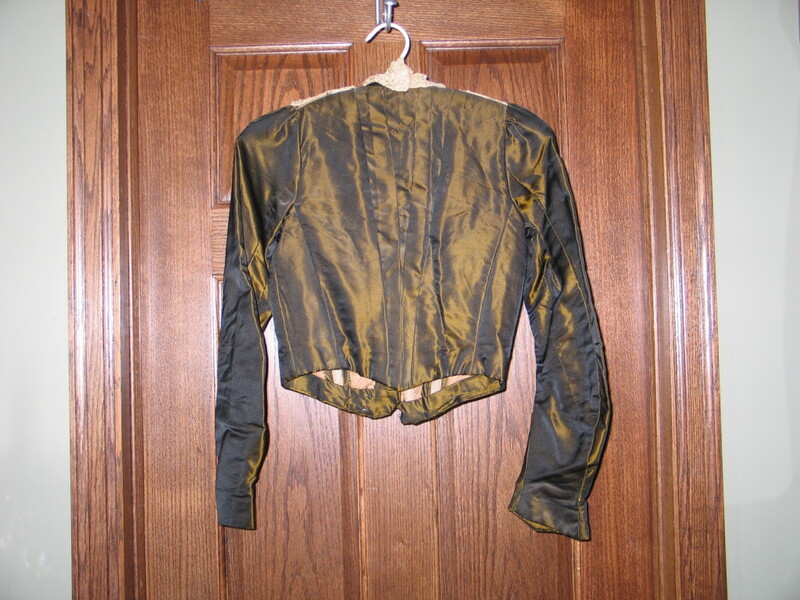 There is a bow that attaches on the left side....the closure that secured it is missing (easy fix) The sleeves are in very good condition, no holes, rips or tears, there are some minor breaks in the fabric on the shoulder pleats, barely shows. The interior of this piece is nicely put together and lined there are no bear edges everything is finished, there is boning sewn in for extra support. This is a truely stunning piece!!!! 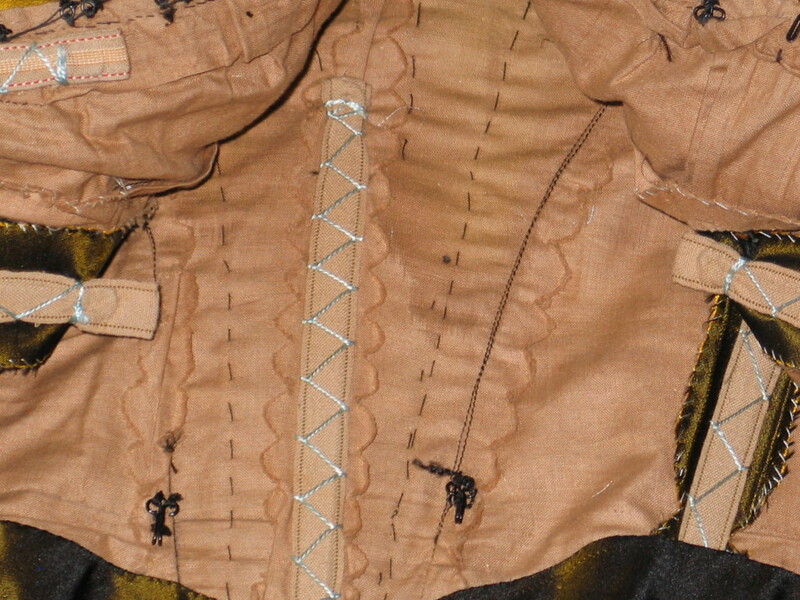 The bust measures 14.5" from armpit to armpit, the waist is 12" from seam to seam, and it is 16" from the shoulder to the bottom. This is a vintage piece so I would like to remind the buyer it is not perfect, please view all pictures as they serve as part of the description. This is in nice wearable displayable condition. Please email me if you have any questions. Thanks for looking! Not Victorian, but a lovely early~ish Edwardian.